Facebook's latest additions to Messenger will have you dodging asteroids and trying to keep a straight face. The company announced Wednesday that it is adding two games to its messaging app that feature Instagram-style augmented reality tools. 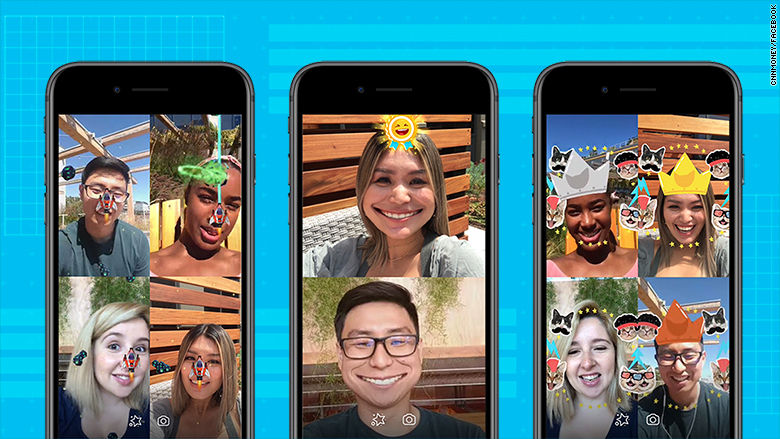 The move is part of a greater effort to entice Messenger's 1.3 billion monthly users to give its video chat feature a try. Over 17 billion video chats occurred on the messaging app last year, more than twice the number recorded in 2016. The two games, "Asteroids Attack" and "Don't Smile," incorporate augmented reality, which overlays digital objects like sunglasses or flower crowns on the real world -- a concept popularized by Snapchat and then Instagram. Facebook (FB) users can open or start a video chat with a friend or group on Messenger and invite them to play by choosing the star icon and picking a game. You can play with as many as six people, but getting everyone together may require some planning because games happen in real time. "Don't Smile" challenges users to do exactly what the name suggests: maintain a straight face for as long as possible. When someone cracks a smile, a filter distorts their facial expression, and an animated sun pops up indicating who won. In "Asteroids Attack," you move your head from side to side to navigate a spaceship and avoid hitting obstacles. More games, including one where you throw a virtual beach ball back and forth among friends, are coming soon. In addition to messaging, video chatting and now games, Messenger boasts a payments tool that allows you to send money to friends, a feature that translates messages in English or Spanish and the ability to add photos or videos to a Story, which disappears after 24 hours. It also offers filters, which overlay things like digital makeup, animal ears and hats on your head and face. These features are all about increasing engagement and grabbing more market share in the messaging space. Although Facebook already owns WhatsApp and Instagram, the company faces competition from platforms such as Snapchat (SNAP), China's WeChat and Apple's iMessage (AAPL). "Facebook is constantly competing with new entrants," said Andrew Hogan, a senior analyst at research firm Forrester. "Its new features are designed to get and keep attention ... and are about more utility, more entertainment and more time spent." 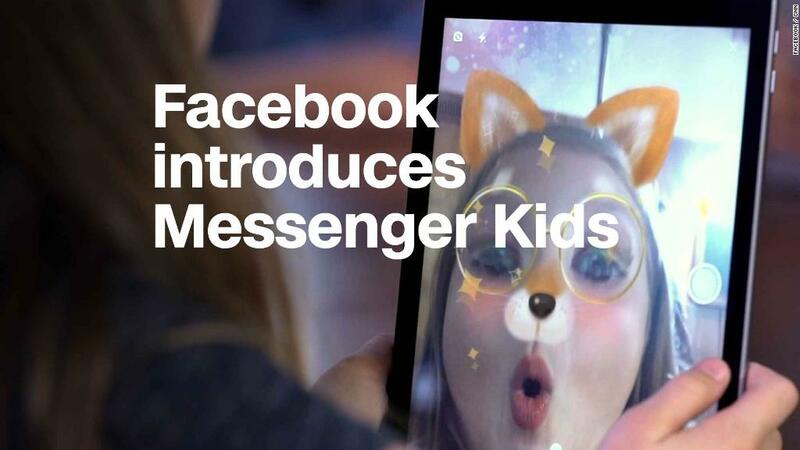 But it's too soon to see if video chat games will be a hit for Messenger. "I could envision something like this being successful," Hogan said. "There's a lot of attention and time spent [in games]." Although the novelty of games can wear off, perhaps Facebook is content putting time and resources behind it for now.